The Cast Iron Collection, an offering of upscale rental homes, resort-inspired amenities and supportive street-level retail space, has quickly become something of an icon in SoHo West (South of Hoboken, West of New York City), the exciting new lifestyle neighborhood being spearheaded by developer Manhattan Building Company on the border of Jersey City and Hoboken. 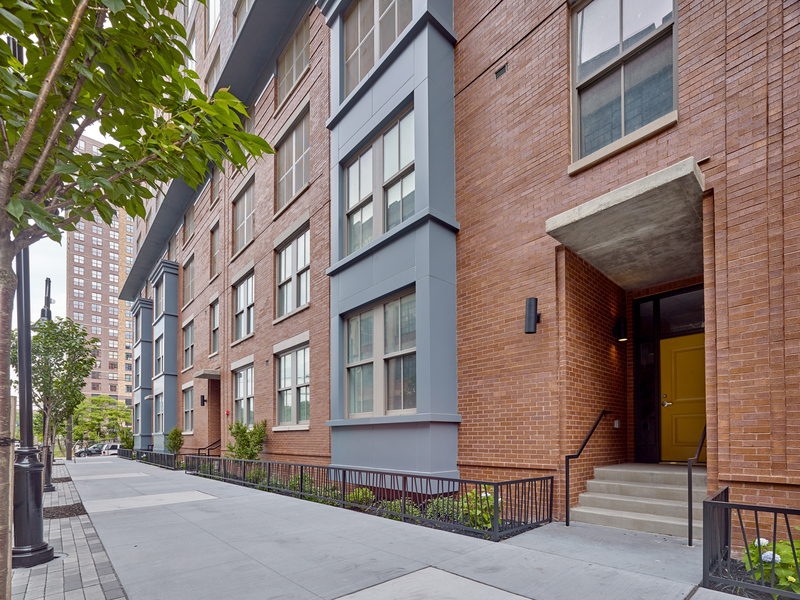 A testament to the high appeal and desire for spacious, loft-inspired rental living in fully-amenitized buildings near the NJ PATH has been the incredible leasing success experienced at the neighborhood’s second apartment building, Cast Iron Lofts II. More than 80% of the 232 homes in the 27-story industrial-inspired building have been leased since its opening earlier this year, providing clear evidence of the viability and attractiveness of one of Jersey City’s hidden residential treasures. Manhattan Building Company officially launched Cast Iron Lofts II in February with homes offering some of the largest floor plans in the Hudson County market, a full suite of indoor and outdoor amenities and 20,000 square-feet of street-level retail space, which currently includes 8 Springs Studio, a Pilates and Yoga studio and Viaquenti Academy, a bilingual pre-school. Brewshot, a coffee shop that has several other locations in Jersey City and NYC, is also expected to debut this fall. Cast Iron Lofts II features expansive studio, one-, two- and a large selection of three-bedroom residence. Apartments range from 885 to 1,885 square feet of living space and include 10’ ceiling heights with exposed duct work, oversized windows, custom walk-in closets, hardwood floors, granite countertops, bathrooms with stained marble vanity, polished porcelain Carrera-tiled floor and glass enclosed showers with shower surround and massaging shower-heads. There’s also state-of-the-art, fully-equipped kitchens with stainless steel appliances. Highlighting the social and active lifestyle at Cast Iron Lofts II, particularly during the summer months, is its hotel-inspired amenity package. The community’s resort-style 17,000 square-foot rooftop deck opened for its inaugural season Memorial Day Weekend, providing residents access to the sparking heated pool and its accompanying rooftop amenities, including pool-side shower, gas BBQ grills, outdoor fire pit lounge areas, and lush landscaping with a shaded tree grove and sitting area. The outdoor amenities are not the only lifestyle elements that make Cast Iron Lofts II an activity rich rental experience. Inside, the building boasts a state-of-the-art fitness center, yoga studio and fitness on demand system, business center, private conference room, children’s playroom, resident lounge with bar, fireplace, billiard table, shuffleboard and large screen TV; a lobby library lounge and bike storage.